Bring your art to life with this drawing fundamentals bundle. You don't have to enrol in an expensive art institution in order to become an artist. Now, you can learn how to draw online using The Fundamentals of Drawing Bundle. You'll learn how to create dynamic superheroes that are worthy of comic books; you'll master the art of figure, portrait, and animal drawing through step-by-step training, and you can learn at your own pace. There's also time to practise shading in order to truly bring your artwork to life. 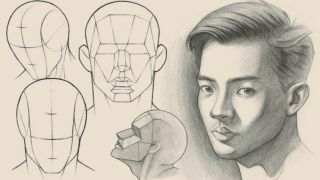 Get The Fundamentals of Drawing Bundle for just $39 – that's 94 per cent off the regular price, and much cheaper than art school.